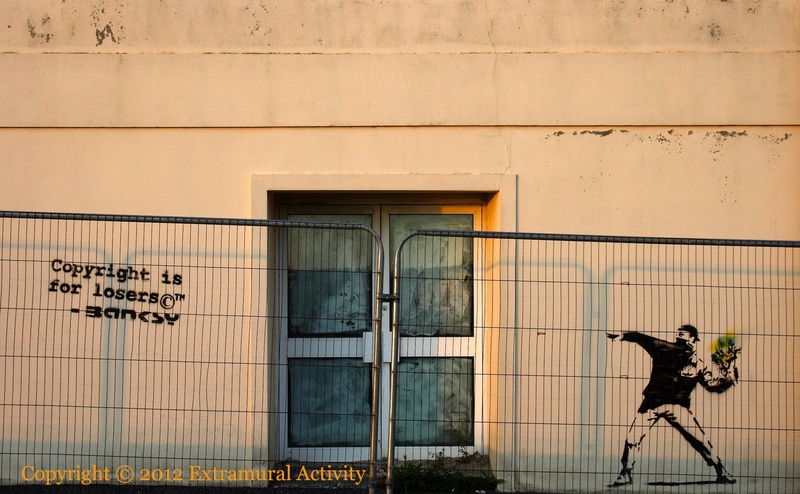 For Banksy, see banksy.co.uk, WP entry. The statement on the left appears on the printer’s page inside the cover of Wall And Piece, but is immediately followed by “Against his better judgment, Banksy has asserted his right under the Copyright, Designs and Patents Act 1988 …”! Related: (the real) Banksy’s Olympics works, Hackney Welcomes the Olympics and Going For Mould.